Today the staff and students of Kitchener Elementary officially re-opened their brand new school following an $18.7-million seismic upgrade and partial replacement of the school. 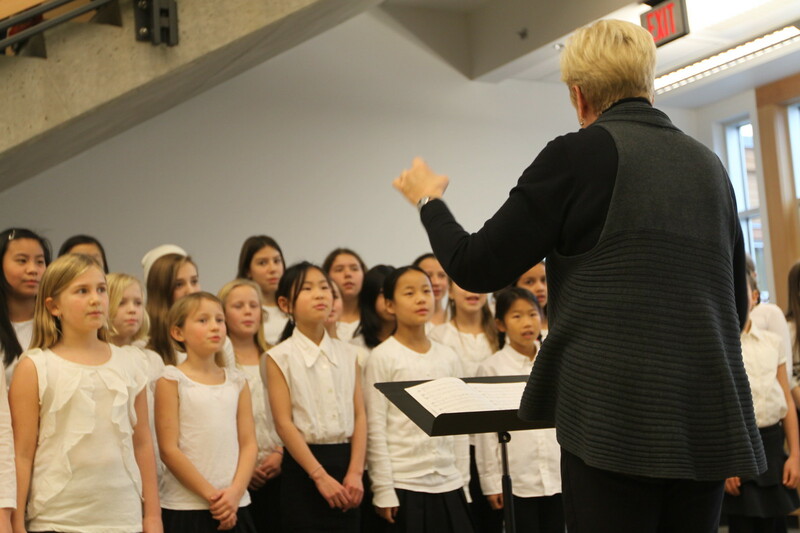 During the re-opening, the school's staff, students as well as district and provincial officals, were treated to multiple performances by the school's choir as well as a student-led tour of all the new school's best features. "With so many schools in the Vancouver School Board approaching 100 years old, it's important we push ahead with seismic upgrade projects like the one completed at Lord Kitchener Elementary," said Patti Bacchus, Chair of the Vancouver School Board. "We still have about 50 schools in our district that need similar seismic upgrades and we look forward to a continued partnership with the provincial government to accomplish this." The new school incorporates an old original heritage schoolhouse, which was rebuilt to LEED Gold standards. The open design of Kitchener maximizes the use of natural light and encourages larger, more interactive learning spaces through a series of garage-like doors that connect classrooms. The school now has capacity for 450 Grades 1 to 7 students and 60 full-day kindergarteners. A main feature of the project is the school's new Neighbourhood Learning Centre. The centre includes a variety of spaces for community-based programs such as a multipurpose room for out-of-school care, a multifunctional tech lab for the sciences and an enhanced gym with a stage and change rooms for the music program and public use.